In a mixing bowl, combine eggs, milk, mustard, garlic, crab boil, Joe’s Stuff and salt. Whisk until well combined. Allow to rest for 5-19 minutes. Soak slices of French Bread in the egg mixture until saturated. In a skillet on medium heat, melt butter. Remove bread from egg mixture and shake off excess liquid. Lay the bread in the skillet and allow to cook on one side until browned. Flip and continue cooking until both sides are brown. Place bread on plate. 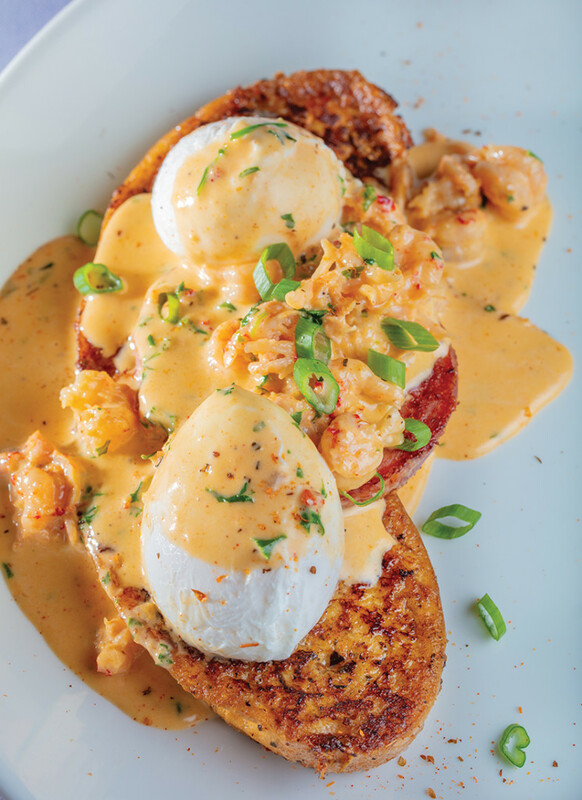 Top with poached eggs and Crawfish Cream Sauce. In a skillet on medium heat, combine heavy cream and chicken stock and bring to a simmer. Add crawfish and Joe’s Stuff Seasoning. Reduce sauce by half. Before serving, melt butter into mixture and garnish with parsley.